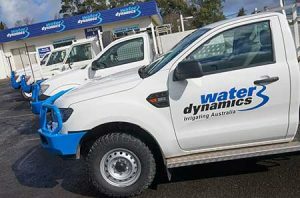 Water Dynamics knows how important it is to keep your irrigation equipment up and running, that’s why we offer you a complete range of reliable irrigation repair and maintenance capabilities. We service and repair all types and brands of irrigation systems, pumps, filters, automation and fertigation across the agricultural, commercial turf, industrial, mining and residential industries. Regardless of the make or model of your equipment, each one of our store locations has the ability to tailor the most suitable service solution to meet your environmental conditions, budget and timeframe. 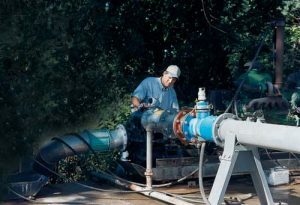 Even when following best practise maintenance for your irrigation systems and equipment, equipment failure can still happen and can potentially bring your entire system to an unexpected standstill. If you can’t get your equipment to us, we can help to minimise downtime by bringing skilled mobile service technicians to your site promptly. They are equipped with the necessary tools to help you get your equipment back up and running in no time. Our mobile service technicians provide troubleshooting and on the spot diagnostics, at the convenience of your own location. Our on-site services are fully supported by each store’s irrigation workshop. They are fully equipped to handle the repair needs of all irrigation products and systems. We also stock a large range of spare parts to keep your system running smoothly, year after year. Our experienced service technicians are able to service and repair all types and brands of pumps, including Onga, Davey, Southern Cross and Lowara. To minimise the impact on households of their pumps not working, we offer residential customers a temporary pump while we are fixing their pump. This is just part of the comprehensive service offerings we pride ourselves on. Unexpected breakdowns create unnecessary downtime and can be costly to your business. Avoid system failure and ensure the longevity of your equipment by scheduling routine preventative maintenance. 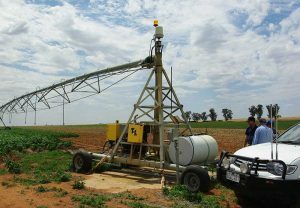 Our experienced service technicians have the knowledge to customise preventative maintenance programs to the specific needs of your irrigation equipment and your business. Whether you have an urgent repair or are interested in preventative maintenance, call us today on 1800 571 812.